Some people rest in late summer. At CISPES, though, we kick into high gear,with big strategy discussions, big solidarity victories, and bigtransitions. I'm writing to tell you about a few of our most recentaccomplishments and also ask for your support to keep us going strongthrough our big move to Washington DC! 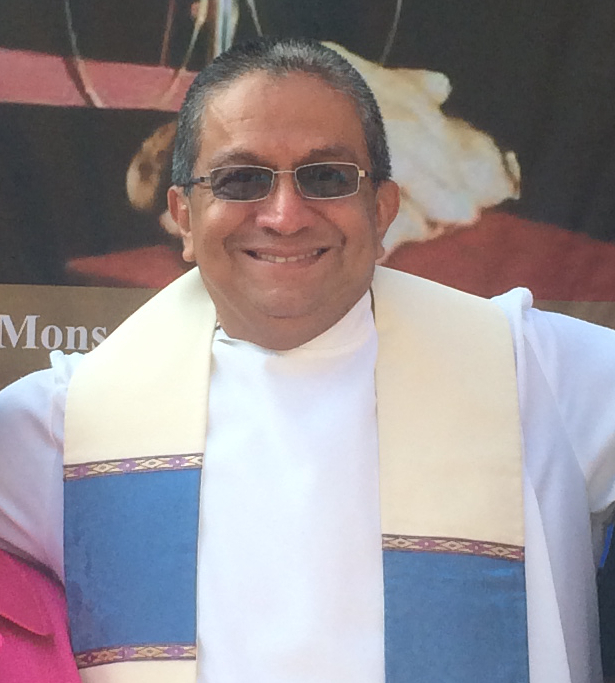 It is easy to support CISPES withonline donations - just click here. As many of you know, the Salvadoran government arrested 14 people opposed towater privatization on July 2 - some were part of the peaceful protest inSuchitoto, some hadn't even arrived yet. (If you haven't already seen thevideos of the protest and police attacks, click here to see them on ourweb site.) The government threw 13 people in jail on trumped up charges ofterrorism and even denied them bail in the months preceding the trial. Thesocial movement in El Salvador immediately mobilized and called forinternational solidarity support for these political prisoners. CISPEStogether with other solidarity activists mobilized pressure on PresidentSaca and the U.S. Ambassador, and on July 27, the pressure on the governmentwas so great that a judge reversed her previous ruling and allowed theprisoners to be released from jail until trial. The prisoners and theirfamilies immediately thanked all the national and international supporters,including CISPES, for the important - although short-term - victory. CISPES was featured on Amy Goodman's "Democracy Now" radio and televisionshow on August 1 to talk about the charges of terrorism against theprotestors, bringing important nation-wide coverage not only to the issue ofthe political prisoners and water privatization, but also to the insidiousrole the U.S. government has played in backing this political repression. To watch that interview, go to the cispes web site . During the final weekend of July, we also gathered grassroots CISPESactivists from chapters around the country at the 12th national conventionin Boston. For three days 45 activists and guests from El Salvadordiscussed, debated, and decided on CISPES's strategy for the next two years.We had Lorena Peña, historic FMLN leader, and Adalberto Cortez, long timewater worker and leader in the water workers' union (SETA), with us to talkabout the FMLN and social movement's strategy and priorities in El Salvadorand also taking part in CISPES's highly participative decision makingprocess. At the opening night of the convention we were also joined byscholar and activist Vijay Prishad at a packed, energetic event celebratingthe shift to the Left in Latin America. The convention closed Sunday night,but before everyone went home we went out to the Salvadoran consulate onMonday morning to demonstrate our solidarity with the political prisonersand to call for all charges to be dropped. For a video of the street theater at that protest, click here . In the midst of all this work, CISPES is moving our national office! It is adecision we made over a year ago - to move to a place where we will becloser to national ally organizations, closer to the government whosepolicies we want to reshape, and situated in the heart of a vibrantSalvadoran community. Look for a change of address note coming soon!We're only able to pull off all this amazing solidarity work AND pack up anoffice and move it in the thick of the summer heat thanks to the incrediblecommitment of so many CISPES volunteers and supporters. In the lead up tothe convention, the protests, and the national mobilization to support thepolitical prisoners, countless people have pitched in to make those activities a great success. Of course it also takes money to keep ourwork moving forward - rent, phone bills, travel to conventions, supportingan El Salvador office, etc. And moving means extra bills this month - movingvans, security deposits, and helping staff move from New York and the stateof Washington. For that reason, we are asking people who have never given toCISPES to consider giving at this time, and we're asking our long-timesupporters to give a little bit more to help keep all our importantsolidarity work going in the midst of the move. Please click here andconsider giving $100, $50, $30, or any other amount you can. Our goal is toraise $10,000 in August to help cover all the expenses. Again, a huge thank you to all of you who support our solidarity work and take action in the struggle for social justice! This work only movesforward with your sweat and generosity.